Translation Services USA is proud to now offer voice transcription services to all our clients. In addition to our regular professional translation services, you can now have recordings in any language transcribed and then translated into whatever other language (or languages) you then need. For example, we can produce a transcription of voice recordings you have in English, then take the transcribed English text and have it sent to our network of professional translators to translate the text into French, Spanish, German, and any other number of languages we support. We also support transcription for voice recordings in other languages as well, which we can then translate back into English or any other language as well. Our standards for voice transcribers are just as stringent as those for our translators. 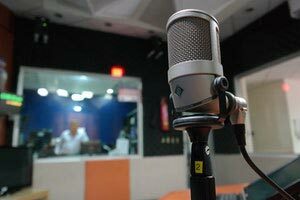 Not just anyone can transcribe voice recordings for us. Transcribers must prove their experience and qualifications through rigorous testing and by producing samples for us. Transcribers are judged not only on quality, but on speed as well, assuring you that our translators will get your text quickly and so we, in turn, can complete your translation project on your schedule. Have questions about our voice transcription services? Just fill out our simple quote request form now and a representative will be back in touch to answer any of your questions as soon as possible!